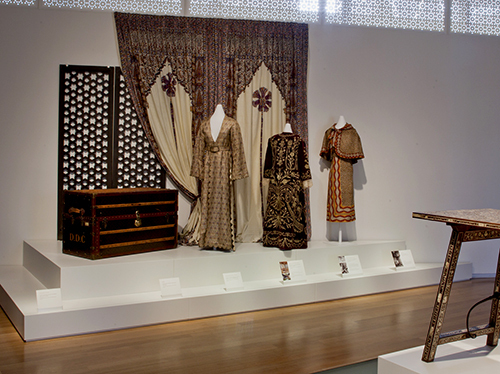 This traveling exhibition explored Doris Duke’s Shangri La, a five-acre estate overlooking the Pacific Ocean in Honolulu. Begun in the mid-1930s and developed over the course of more than fifty years, Shangri La seamlessly melds together modern architecture, tropical landscape, and art from throughout the Islamic world. 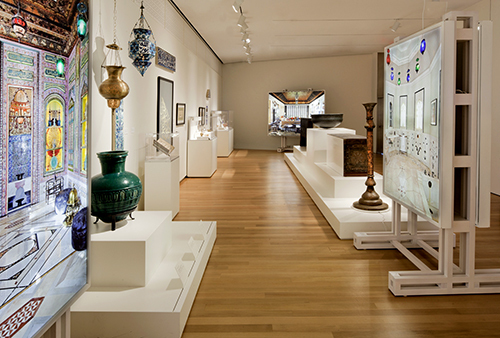 Representing an approach that may be termed “inventive synthesis,” Shangri La mixes original and commissioned architectural elements, sometimes incorporating complete historic rooms that function as museum-quality period installations. 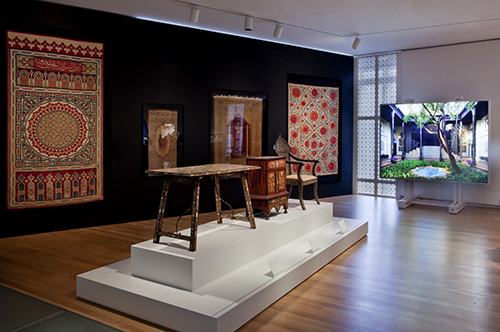 Shangri La’s collections are equally diverse and encompass a broad time spectrum, from the pre-Islamic and mediaeval periods through the mid-20th century, as well as myriad media, styles, and techniques developed within the realm of the Islamic arts. 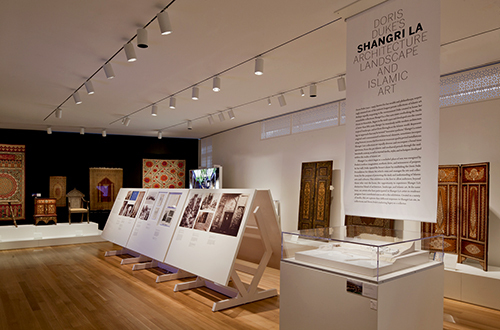 The exhibition combined artifacts, newly commissioned and historic photographs, drawings, and ephemera, as well as works of five artists who have participated in Shangri La’s artists-in-residence program. Accompanied by a 216-page catalog. 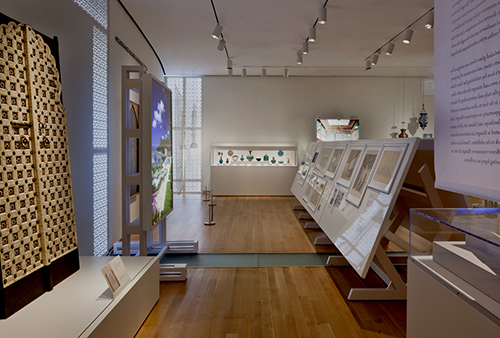 Working with co-curator Thomas Mellins, Mr. Albrecht conceived the show’s themes and organization, identified its designer, selected all artifacts, and edited and contributed to the catalog.